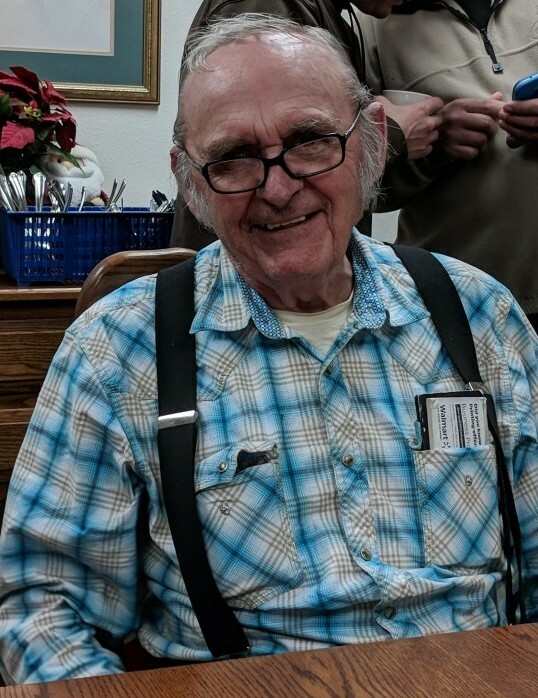 Malcolm “Mac” Donald McAlpine, age 87, of Valier, MT, went over the Great Divide on October 11, 2018. Mac was born in Great Falls, MT on March 19, 1931 to Thomas and Marie (Itherbide) McAlpine. He exhibited his father’s strong Scotch heritage with traits he passed down to his own children and grandchildren. Mac was raised on a farm west of Sweet Grass, MT with what he thought was the best view of the Sweet Grass Hills. Mac’s childhood best friend was his sister Mary and they maintained a close relationship for the rest of his life. He also had many good memories with Harold Bielen, who was a friend until the end. Mac attended the Jayhawker School and upon graduating, went to farming before joining the Air Force. His time in the Air Force started on April 1, 1951 and he was stationed at George Air Force Base in California and also spent time in Georgia. He was honorably discharged on December 31, 1952. Mac won a raw oyster eating contest with a fellow serviceman by eating 56 oysters. He also won many bets by knowing how to drink down a raw egg in his beer. A young, handsome Mac eventually bought a brand new, teal green Plymouth with enormous fins and returned to Sunburst where he had his eye on Muriel Olive Gallup. She was a saucy, little dark-haired, blue-eyed lass and the love of his life. He proposed; she accepted; they were married on September 25, 1954 in Sunburst’s United Methodist Church with nearly the entire town and countryside attending. Muriel put a band of gold on Mac’s finger that day, which he never removed. It once almost cost him his finger, but he put it right back on again. When the original wore out, he replaced it with another. Mac and Muriel set up camp 10 miles north of Valier where Mac farmed until 2006. They welcomed three children: Clinton Donald, Clayton Thomas, and the long-awaited daughter, Jana Kay. Clint and Clay would prematurely turn Mac’s hair gray due to their constant antics and shenanigans. Mac hunted big and small game, birds, and fished (his favorite lake was Mission) usually in the company of brothers Tommy, Dell, and Danny, brother-in-law Clint, father-in-law Don, and a variety of other friends and relatives. In the 1960s, while hunting with brother-in-law Ted Suta, Mac walked down a trail in the Dearborn and right into the lap of a grizzly. Both man and beast were surprised and the bear ran off without hurting him. Mac was in an accident in 1968 that burned 33 percent of his body. He spent two months in the hospital in Cut Bank rather than going to the burn center in Salt Lake City. He made a full recovery. The coffee was always on at Mac and Muriel’s house and both had an extensive circle of friends. They worked long and hard, but they played hard too. For years they belonged to a local square dance group and several clubs. Both were excellent card players (bid six, no trump). Mac was amazing at numbers and would go in for a coffee break, smoke a cigarette, and write columns of numbers on every scrap paper available, calculating and recalculating the farming game. He was the epitome of a traditional farmer right down to one pant leg tucked in his boot. In later years, he was known for his beautiful yard and garden. Mac was a friend to everyone and generous without question. He loved to argue with adults and good-naturedly tease children. He once bought grandson Justin Shandorf a squirt gun and when Justin wouldn’t stop spraying him, Mac dumped a five-gallon bucket of water over his head. He could also yodel and sing little ditties. Mac and Muriel frequently had extra kids living at their house including granddaughter Kristi McAlpine Maisano and nephew Scott Peterson. Their door was always open. When Muriel passed away in 1990, he never dreamed of spending any time with another. Mac liked to have a Black Velvet ditch at 4 o’clock every day and felt it was good for his health. He had a horrendous sweet tooth and daughter Jana always made him apple pies, which he had a tendency to claim as his own baking. Mac is survived by his three children, nine grandchildren, and 10 great-grandchildren; his sister Mary and brother Dell. Planting time for this old farmer is set for June 1, 2019 at 2 p.m. at Lakeview Cemetery in Valier next to Muriel. A celebration of life will follow at the Birch Creek place rain or shine. Mac’s family would like to express special thanks to the staff at Pondera Medical Center. They all loved Mac and he was only there for a little over four months. There's still time to send flowers to the Graveside Service at the Lakeview Cemetery at 2:00 PM on June 1, 2019.